How was the overall course for you as a student? We had three assignments where we needed to work in groups to present a solution, they were: Payment Interface (2 weeks), Conversational User Interface (1 week), Logistics Use Case (3 weeks). We were working within an Agile & Scrum framework to rapidly understand, generate designs, test, and finalise an interaction solution. 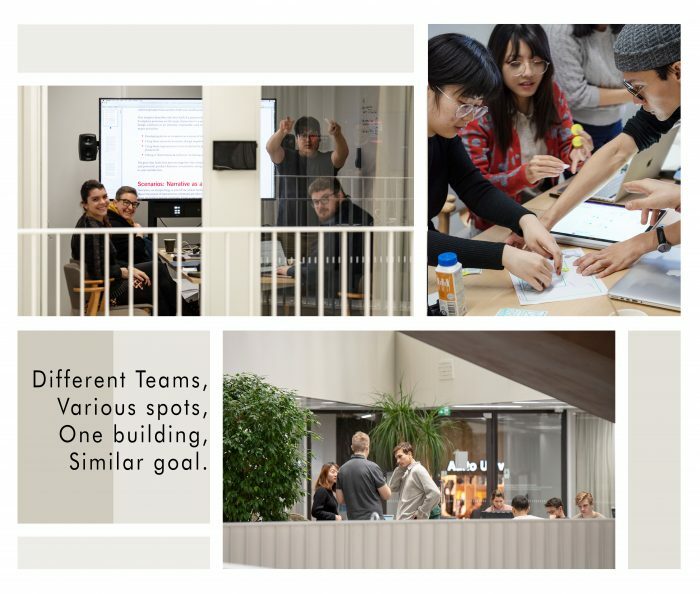 We worked in short sprints to establish user profiles and context analysis based on real-world observation, interviews, and qualitative & quantitative data collection via surveys; design an ideal solution; and finally test our design for further iteration before having to present an outcome. Personally, it helped to contextualise my existing knowledge about Interaction Design (IxD) that I had from undergraduate studies while also expanding it with an up-to-date formalised approach that is based on industry practice and reflection. Each assignment created an opportunity to practice and apply a new method/approach that we had learned about, beginning from assignment one where we had to design for a primarily tactile interaction modality. From assignment two, we built on the newly acquired knowledge and focused on auditory interaction modality of voice. The group work also illuminated many personal aspects for me to reflect on in varying depth. From how to better communicate and articulate ideas and feedback over various platforms & contexts, to developing a better understanding of my own personality amongst other personalities in a group environment comprised of similar types of designers. In closing, this course has pushed me to be more transparent with myself and teammates, while situating existing knowledge into a, now matured, framework for designing interactions. « What is Design, Strategy and Leadership?